Full coverage for your head and neck, with a longer back that can be tucked into other clothing layers. As I ran approximately 1 mile, I wore my Nike Pro Hijab, wore a pair of shades and wore ear plugs in my ear. The Hijab fit nice and snug and the shades and ear plugs stayed in place during my run. 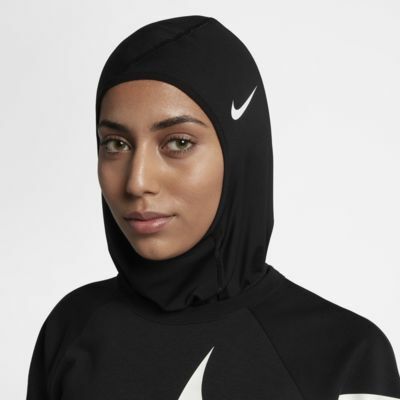 Well made Hijab for athletic activities. It is very convenient for a quick run or when you straighten your hair and want a keep it straight from the humidity, here it is I wear it to a quick trip to the grocery store with my sweat jacket , You definitely should purchase this it’s worth the money. Flexible, great material and breathable. Much better than other options for the gym.